BARBARA EDELSTON PETERSON has dedicated her life to health and wellness, and improving the lives of people of all ages through exercise, self-awareness, and the power of positive thinking. Now fifty-six years old, she is an author, motivational speaker, sports psychologist, world-class triathlete, wife, and mother of two daughters. She is uniquely qualified to inspire and educate people recovering from physical limitations as a result of injury, illness, or pregnancy. 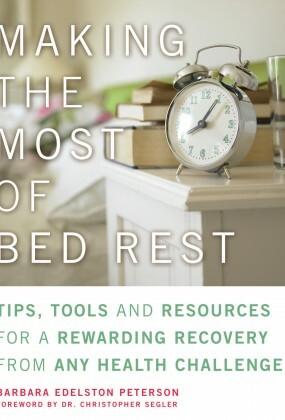 Barbara is the author of The Bed Rest Survival Guide, the founder of The Power of Exercise, and is a contributor to Ms. Fitness, Triathlete, and Women's Health. She lives in Berkeley, California.